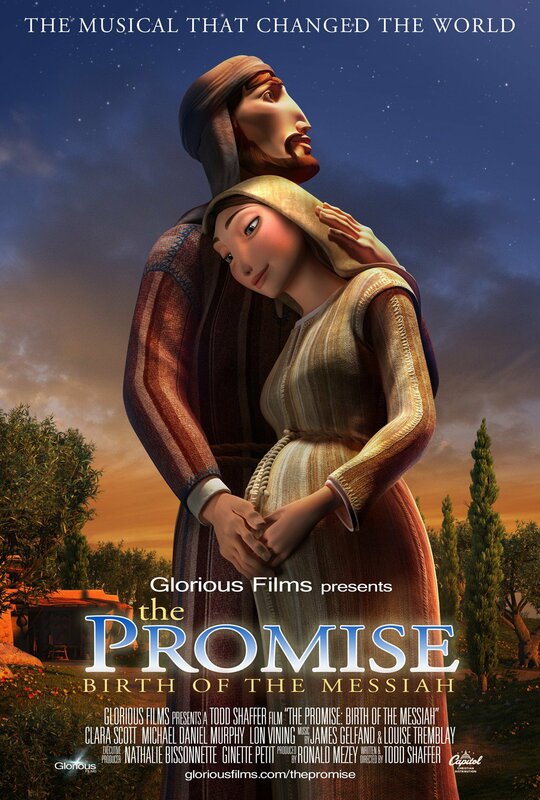 Animation studio Glorious Films today released the first in a slate of biblically-faithful, animated films, "The Promise: Birth of the Messiah" just in time for the Christmas season. Exhibiting the quality akin to Disney and Pixar films, "The Promise" is an animated musical celebration crafted from the Gospel of Luke in both story and song. The story takes place in ancient Israel, during the days of King Herod. The audience is taken on a spectacular musical journey with the young couple, Mary and Joseph as their world is turned upside down when the prophecy of a long-awaited Saviour unfolds upon their lives. They must trust in God's promise in the midst of rising challenges, and their faithfulness is rewarded as they witness one of the most pivotal events in human history – the birth of Jesus. With Christmas just around the corner, Glorious Films hopes "The Promise" will draw audiences to the heart of this beloved story that is often overlooked in stripped-down modern versions. Poetic declarations populate the drama from beginning to end and give the events their spectacular meaning, proclaiming the Messiah, and announcing the salvation he brings. "The Promise" is graced with an original musical score composed and arranged by award-winning composer James Gelfand and Louise Tremblay. Ron Mezey, co-founder of Glorious Films and producer of "The Promise" says it is the songs that really set the movie apart. "We wanted the songs to evoke the feelings of what people must have experienced at that time, and the beautiful voices of our cast and choir captured this emotion in each of our animated characters." The unique animation style of "The Promise" was achieved by a blend of traditional key-frame animation and motion-capture performances of ballet dancers, performance artists and stage actors.